I love the fun half-print shorts trend that has started this summer. But why shell out for a new pair when you can make yourself a pair from an old pair of shorts? I personally wanted a more neutral look with a fun print. 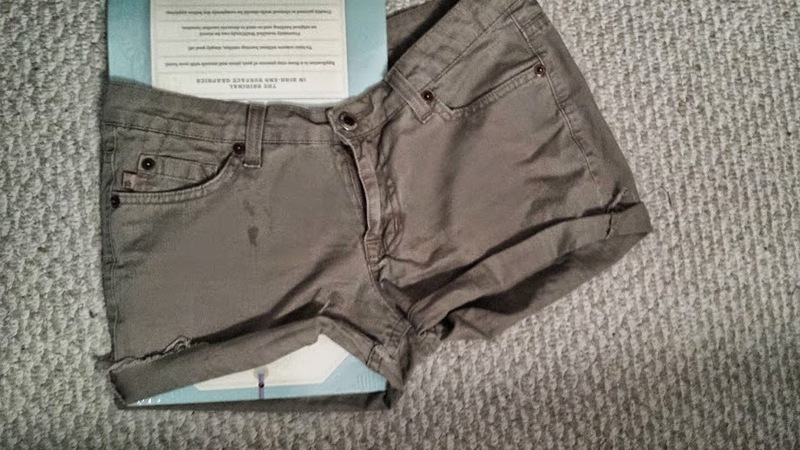 I had a pair of khaki shorts on hand, and turned them into my new favorite pair for summer. 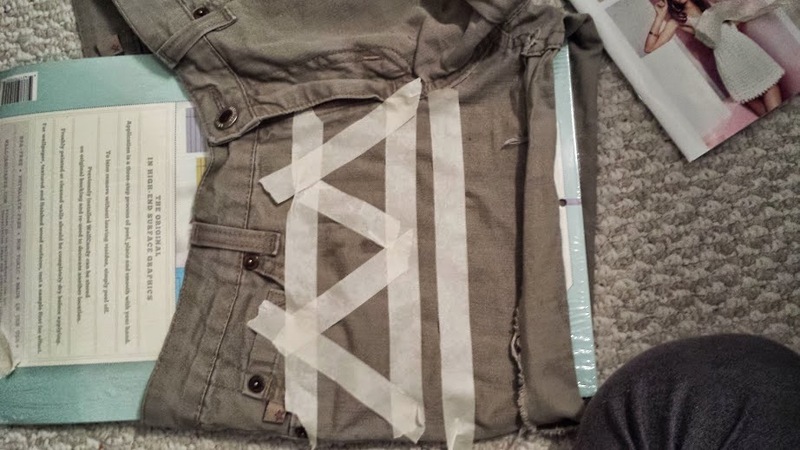 First, take a piece of cardboard and place it inside the shorts on the side you want to paint. This is to prevent the fabric paint from bleeding to the back of the shorts. I also recommend you place the entire project on a piece of newspaper so the paint doesn't stain your floor or table. 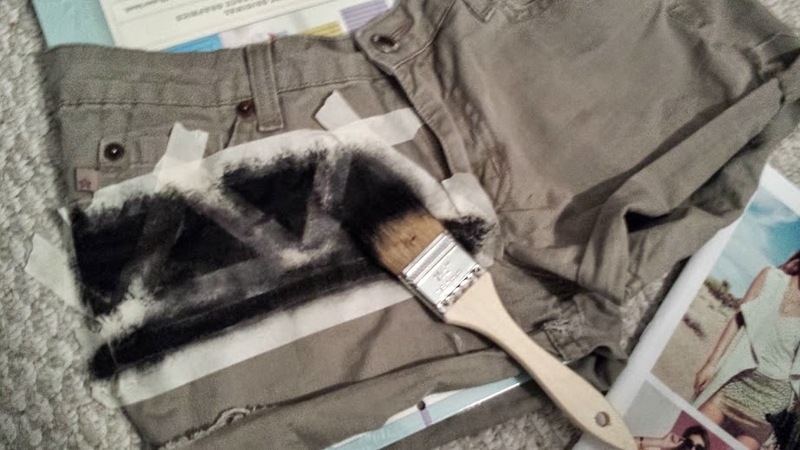 The pair of shorts I used had couple of small stains on the front, so the fabric paint will cover it up perfectly. Second, take your masking tape and create some patterns! I used the tape to create a triangle pattern and a straight line. I kept it rather simple, but you can get as creative as you want! Third, take your fabric paint and paint brush and paint your masking tape stencil! A good method is to blot the paint with the brush instead of swiping it across. Lastly, let your shorts dry for half an hour before taking the paint off. I also used the eraser on a wooden pencil to stamp some dots into my pair. Remember to follow the instructions that come with your fabric paint about drying and washing. That's it! 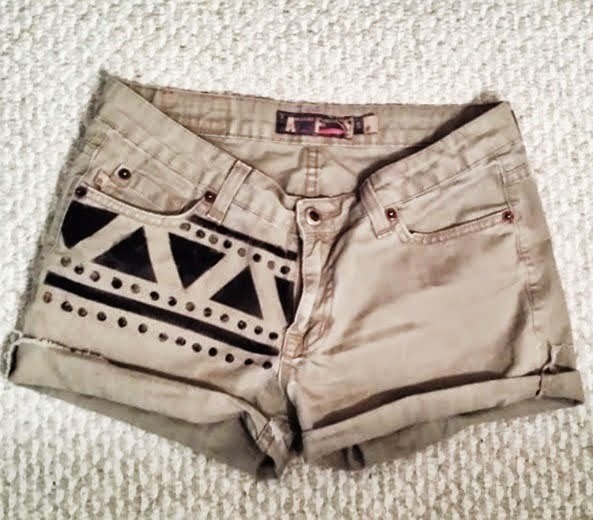 This DIY took just 15 minutes for me (not including the drying time), and now I have a new favorite pair of shorts this summer! Let us know in the comments if you try this too!